Both The Undertaker and Daniel Bryan have had huge careers in WWE. In the annals of WWE history, there have been thousands of Superstars. And though everyone who enters the company dreams of being the next top star, only few will ever claim that illustrious spot. But even if a Superstar never holds a World Championship, there is still an accolade in having a long and lengthy career. 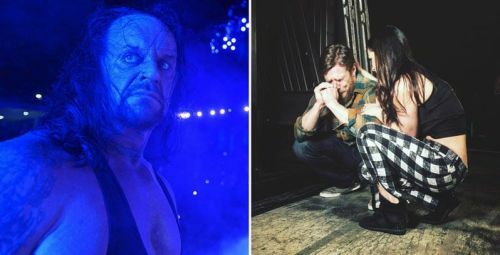 Unfortunately, there have been plenty of WWE Superstars who have had their careers ended too soon due to factors such as injury or problems with the higher-ups backstage. And on the flip side, there have been Superstars who frankly have over-stayed their welcome, and have competed for far too long much to the chagrin of the WWE Universe. Here are three WWE careers that were tragically cut short as well as two that fans thought would never end. After an incredible career and even World titles, Edge was forced to retire due to injuries in early 2011. When Edge returned from neck surgery in early 2004, the Canadian knew he was on borrowed time. But after 14 months away from the ring, the Rated-R Superstar came back with gusto, winning the first Money in the Bank ladder match, and amassing an astonishing eleven World Championships across five years. Unfortunately, things came crashing down in 2011, as the old neck injury returned and Edge was instructed that he had to retire, or risk life in a wheelchair. Competing in the opening of WrestleMania 27, the Rated-R Superstar successfully defended his World Championship against Alberto Del Rio. 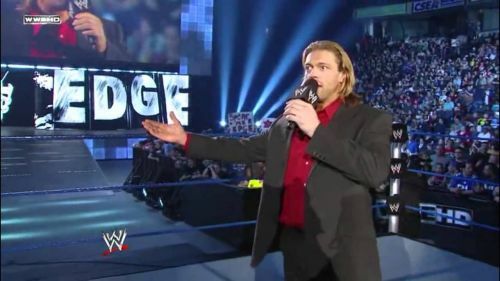 Appearing on RAW the next night, Edge told the tearful crowd about what was happening, and vacated the title, going out on top, before being inducted into the Hall of Fame the next year.